The Publications Committee was first established in 1952 in order to discern literature and to publish, gather and distribute religious books (1952 Yearbook, p. 137-138). The Mennonite Brethren printer, Christian Press, Ltd., fell under the jurisdiction of the Publications Committee, as did the publication of Die Mennonitische Rundschau, which was accepted as the official German publication of the Canadian Conference of Mennonite Brethren Churches in 1960. In 1962, the Publications Committee was also delegated the task of publishing and distributing the Mennonite Brethren Herald, which was the official English publication of the Canadian Conference. In 1967, the Publications Committee changed its name to the Board of Publications. It continued in its role, commissioning and publishing numerous books in the 1970s and early 1980s. In 1982, the board adopted the Kindred Press logo as its publication name. Kindred Press was originally developed by the U.S. Conference Board of Publications as the logo for books produced by the Mennonite Brethren Publishing House in Kansas. In order to manage sales and grow the Kindred Press brand, Gilbert G. Brandt was hired as the "literature coordinator." In 1984, Kindred Press was moved under the Board of Christian Literature, which belonged to the General Mennonite Brethren Conference, and no longer reported to the Board of Publications. In 1989, the Board of Publications was dissolved and its responsibilities fell under the authority of the Board of Faith and Life. These responsibilities were moved once again in 1994, with the creation of the Board of Communications. This series belongs to the Boards and Committees sous-fonds and the Canadian Conference of Mennonite Brethren churches fonds. The series contains the minutes, correspondence, project files and reports of the Publications Committee/Board of Publications, beginning in 1955 and ending with the board's dissolution in 1989. 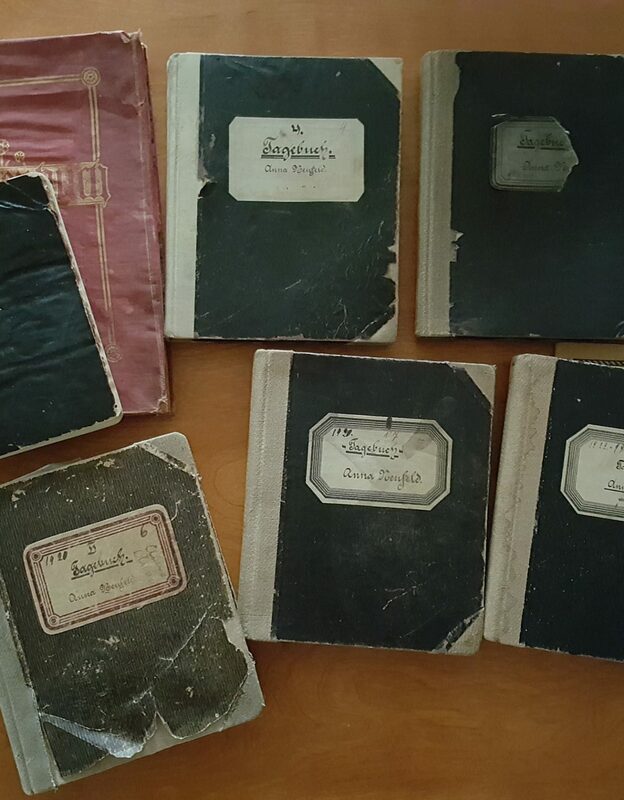 The series also contains documents pertaining to Christian Press, Ltd., the Mennonitische Rundschau, the MB Herald, Le Lien and the personal correspondence and inventories of literature coordinator, Gilbert Brandt. The documents listed between 1946–1963 are predominantly in German and the correspondence is a mixture of German and English material. The minutes of Le Lien (1982–1985) are in French. Finding aid consists of sub-series descriptions and a file list. Related materials: Board of Faith and Life fonds; Board of Communications fonds; Board of Discipleship Ministries fonds; Communications fonds; additional material may also be found in the personal papers of committee/board members. 30 cm of textual materials. During the 1960s and '70s, the Board of Publications experienced great success in publishing books and managing sales. This success demanded attention, so the position of "literature coordinator" was created in 1982 and filled by Gilbert Brandt. The Board of Publications also decided to adopt the publishing brand of Kindred Press, which was originally created by the US Conference of MB churches. Brandt's role was to oversee the publication of books and the increased development of Kindred Press under the jurisdiction of the Board of Publications and the Canadian Mennonite Brethren Conference. In 1984, it was determined that the operation of Kindred Press would fall under the jurisdiction of the General Conference of MB churches, more specifically, the Board of Christian Literature. At this time, Gilbert Brandt became an employee of the General Conference of MB churches, and Kindred Press was no longer responsible to the Board of Publications. 1. Publications Executive Committee minutes, report and audit of Mennonite Brethren Publishing House (Hillsboro, KS). -- 1953–1954. 2. Publications Committee minutes, correspondence, projects; Christian Press minutes, correspondence, financial statements, list of shareholders. -- 1955. 3. Publications Committee minutes, correspondence, projects; MB Publishing House reports, financials statements, audits; Christian Press minutes, correspondence, list of shareholders, legal documents. -- 1956. 4. Publications Committee minutes, correspondence, projects; MB Publishing House reports; Christian Press minutes, correspondence , reports, list of shareholders, legal documents. -- 1957–1958. 5. Publications Committee minutes, correspondence, projects, discussion of Mennonite Observer & Canadian Conference family paper; Christian Press minutes, correspondence, shareholders, legal documents. -- 1959. 6. Publications Committee minutes, correspondence, projects, discussion of a conference-owned publishing house; Christian Press minutes, correspondence, legal documents; MB Publishing House report and audit. -- 1960. 7. Publications Committee minutes, correspondence, projects; Inter-Mennonite Publishers meeting minutes; Christian Press minutes, correspondence, legal documents. -- 1961. 8. Publications Committee minutes, correspondence, projects; introduction of the MB Herald; issues regarding MB Herald editor; Christian Press minutes, correspondence, finances, legal documents. -- 1962. 9. Publications Committee minutes, correspondence, projects, discussions re: finding a new MB Herald editor; Christian Press correspondence. -- January-June, 1963. 10. Publications Committee minutes, correspondence, projects; Christian Press history, reports, finances. -- July-December, 1963. 11. Publications Committee minutes, correspondence, projects; Christian Press management search, reports, finances. -- 1964. 12. Publications Committee minutes, correspondence, projects; MB Herald report, "The Church Paper as a Positive Spiritual Force," by Harold Jantz; Christian Press reports. -- 1965. 13. Publications Committee minutes, correspondence; Christian Press reports, advertising, finances. -- 1966. 14. Publications Committee/Board of Publications minutes, correspondence; Christian Press reports; MB Herald reports, "The Church & Change," by Harold Jantz, survey; Mennonitische Rundschau reports. -- 1967–1968. 15. Board of Publications minutes, correspondence; Mennonitische Rundschau reports; MB Herald report; Editorial committee minutes; Christian Press reports, concerns regarding bookstore. -- 1969. 16. Board of Publications minutes, correspondence; Mennonitische Rundschau reports; MB Herald reports; Editorial committee minutes; Christian Press reports. -- 1970. 1. Board of Publications minutes, correspondence; Mennonitische Rundschau reports; MB Herald reports; Editorial committee minutes; Christian Press reports; Mennonite Church periodicals study. -- 1971-1972. 2. Board of Publications minutes, correspondence; Mennonitische Rundschau reports; MB Herald reports, editor on leave; Christian Press reports; Inter-Mennonite Writers Conference minutes. -- 1973. 3. Board of Publications minutes, correspondence; Mennonitische Rundschau reports; MB Herald reports; Christian Press reports; Survey of periodicals & various publication study papers. -- 1974. 4. Board of Publications minutes, correspondence; Mennonitische Rundschau reports; MB Herald reports, editorial policy; Christian Press reports; Report of the Study Commission on Conference Periodicals. -- 1975. 5. Board of Publications minutes, correspondence; Mennonitische Rundschau reports; MB Herald reports; Editorial committee minutes; Christian Press reports. -- 1976. 6. Board of Publications minutes, correspondence, projects; Mennonitische Rundschau reports; MB Herald reports; Editorial committee minutes; Christian Press reports. -- 1977. 7. Board of Publications minutes, correspondence, projects; Mennonitische Rundschau reports; MB Herald reports; Editorial committee minutes; Christian Press reports. -- 1978. 8. Board of Publications minutes, correspondence, projects; Mennonitische Rundschau reports; MB Herald reports; Editorial committee minutes; Christian Press reports. -- January-August, 1979. 9. Board of Publications minutes, correspondence, projects; Mennonitische Rundschau reports; MB Herald reports; Christian Press reports. -- September-December, 1979. 10. Board of Publications minutes, correspondence, projects; Mennonitische Rundschau reports; MB Herald reports; Christian Press reports. -- January-June, 1980. 11. Board of Publications minutes, correspondence, projects; Mennonitische Rundschau reports; MB Herald reports; Editorial Committee minutes; Christian Press reports, closing of Fellowship Bookcenter. -- July-September, 1980. 12. Board of Publications minutes, correspondence, projects; Mennonitische Rundschau reports; MB Herald reports; Editorial Committee minutes, proposal for Literature Coordinator; Christian Press reports. -- October-December, 1980. 13. Board of Publications minutes, correspondence, projects; Mennonitische Rundschau reports; MB Herald reports; Editorial Committee minutes; Christian Press reports. -- 1981. 14. Board of Publications minutes, correspondence, projects; Mennonitische Rundschau reports; MB Herald reports; Literature Coordinator/Kindred Press reports; Christian Press reports. -- 1982. 15. Board of Publications minutes, correspondence, projects; Mennonitische Rundschau reports; MB Herald reports; Literature Coordinator/Kindred Press reports; Christian Press reports. -- 1983. 16. Board of Publications. Government Correspondence (Gilbert Brandt). -- 1987–1990. 1. Board of Publications minutes, correspondence, projects; Board of Christian Literature minutes; Mennonitische Rundschau reports; MB Herald reports; Literature Coordinator/Kindred Press reports, distribution agreement with Herald Press; Christian Press reports. -- 1984. 2. Board of Publications minutes, correspondence, projects; Board of Christian Literature minutes; Mennonitische Rundschau reports; MB Herald reports; Editorial Committee minutes; Kindred Press reports; Le Lien reports. -- 1985. 3. Board of Publications minutes, correspondence, projects; CCMBC restructuring proposal; Mennonitische Rundschau reports; MB Herald reports; Le Lien reports; Kindred Press reports; Christian Press reports. -- 1986. 4. Board of Publications minutes, correspondence, projects, handbook; CCMBC restructuring proposal; Mennonitische Rundschau reports; MB Herald reports; Le Lien reports; Christian Press reports. -- 1987. 5. Board of Publications minutes, correspondence, projects; Personnel Compensation committee minutes; Mennonitische Rundschau reports; MB Herald reports; Le Lien reports; Christian Press reports. -- 1988. 6. Board of Publications minutes, correspondence, projects, reaction to restructuring proposal; Mennonitische Rundschau reports; MB Herald reports; Le Lien reports. -- 1989. 7. Literature Coordinator correspondence (Gilbert Brandt). -- 1982. 8. Literature Coordinator correspondence (Gilbert Brandt). -- 1983. 9. Literature Coordinator financial records, inventories. -- 1982–1983. 10. Board of Publications research file: excerpts from publications and reports. -- 1960–1993. 11. Board of Publications project file: "The Earth is Round" (Margaret Epp). -- 1973–1977. 12. Board of Publications project file: "Tulpengasse" (Margaret Epp). -- 1974–1977. 13. Board of Publications project file: "Along Highways and Hedges" (Hedy Durksen). -- 1977–1978. 14. Board of Publications project file: "The Mennonite Brotherhood in Russia" (P.M. Friesen). -- 1978–1981. 15. Board of Publications project file: "The Hidden Hand" (Baxter). -- 1978–1983. 16. Board of Publications project file: "C.N. Hiebert was my father" (Esther Horch). -- 1976–1977, 1979–1981.